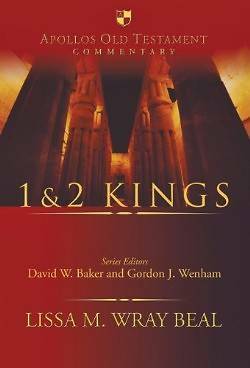 Preaching's Preacher's Guide to the Best Bible Reference for 2014 (Old Testament Commentaries) The books of 1 and 2 Kings cover the history of Israel from the last days of the united kingdom under David to the eventual fall of the kingdoms of Israel and Judah. Within these books, the deuteronomic code - 'doing what is right in the Lord's sight' - provides a framework by which monarchic history is measured. In the kings' cultic failures lies the apostasy of the nation and its eventual exile. This apostasy centres on Israel's commitment to worship YHWH exclusively, and to worship according to deuteronomistic norms within the Jerusalem temple as the locus of YHWH's covenant presence. To safeguard the kings' commitments, YHWH's prophets loom large in 1 and 2 Kings: they herald YHWH's purposes, warn of his judgment for apostasy and woo his people back to the full experience of covenant life. Lissa M. Wray Beal's valuable commentary examines the successes and failures of monarchy in the divided kingdoms. It works with the final form of the biblical text and pursues historiographical, narrative and theological questions, including the relation of each chapter's themes to biblical theology. While it focuses on theological and narrative concerns, the commentary gives due attention to complex historical issues. It seeks to provide a nuanced reading that is faithful to the text's message."